Located in Paojiang Industrial Park of Shaoxing city (a famous textile city of China) in Zhejiang province, Zhejiang Xinjian Textile Co., Ltd. is a stock company and a large-scale textile printing and dyeing enterprise with weaving, printing and dyeing as main activities. Established in 1951, Xinjian now is a Key High-tech enterprise of China, one of first-batch import and export enterprises of Zhejiang province, a good enterprise of Zhejiang province for harmonious labor relation and demonstration enterprise of Shaoxing city for technical innovation. Covering an area of 133,400sqm, we now own more than 80,000sqm of buildings and 700 employees, over 110 of them are technicians. We have concentrated on the research, development and production of Industrial uniform fabrics and Functional fabrics for decades, and have always committed to improving the comprehensive level of Industrial uniform fabrics and Functional fabrics of China. There are four sub-factories, including weaving, dyeing & finishing, printing and yarn-dye sub-factory. All our production lines are equipped with the latest equipments, so we are a leading company in this industry in terms of equipment. Equipped with air-jet looms, rapier looms and staple sizing production lines from Germany and Japan, our Weaving sub-factory annually can produce 30 million meters; there are advanced overflow dyeing, airflow dyeing, finishing, composite and coating production lines (from Germany, Italy and Taiwan) in our Dyeing and finishing sub-factory, which can annually produce 60 million meters; our Printing sub-factory owns a complete set of Pad dyeing and printing production lines from Germany, Switzerland and Netherlands, and can annually produce 30 million meters; equipped with a complete set of dyeing apparatus of silk and yarn, our yarn dyeing sub-factory is able to produce 2,000 tons every year. At present, we mainly produce five series of products such as Military fabrics series, Industrial uniform fabrics series, Top-grade Functional fabrics series, Brand apparel fabrics series and foreign military fabrics series. We have been a researching, developing, trial-manufacturing and production enterprise of uniform fabrics for China's armed forces, armed polices and public security polices since 1998, and successfully become the main researching, developing, trial-manufacturing and production base of fabrics of China's armed forces for more than ten years. 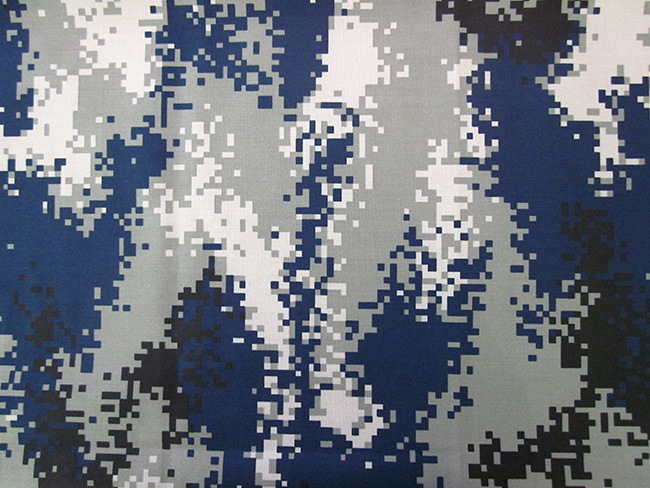 Therefore, we are very experienced in the production and management of Military fabrics and Industrial uniform fabrics. At present, we annually produce almost 10 million meters of quality fabrics for China's armed forces and armed polices, and rank the top position of this industry in the comprehensive appraisal of quality sponsored by China's armed forces and armed polices. Up to now, we have become the supplier of The Chinese army, armed police, public security police, southern power grid, China mobile, SF-express and Deppon Express for Military fabrics and industrial fabrics. At the same time, we are also one of research and development companies of new fabrics for a number of industries. Now, our products are well sold in dozens of countries in EU, Southeast Asia, The Middle East and Africa, and we are well-known as the "top enterprise of camouflage fabric of China". We lay great stress on technical innovation. Our Technical Centre was approved as Technical centre of Zhejiang province in 2004, and our company was listed as the trail enterprise of Zhejiang province for Technology standard strategy in 2006. Therefore, we are a leading enterprise of this industry for the innovations of technology and product. In past several years, we carried out National torch plan projects, national science and technology support projects and special projects of national development and reform commission in structural adjustment. Now, we own several National invention patents, and our several projects obtain the technical advancement awards of Chinese government and Zhejiang province's government; we also take part in the establishment of several industrial standards of China. There are specialized Technical centre buildings in our company, and we invest CNY 10 million in the instruments of center, thus this center is well equipped with national-standard trail-production and inspection equipments for weaving, dyeing and printing purposes. At the same time, our R&D center owns complete set of apparatus for the research, development and trail-production of weaving, dyeing, printing and finished products and technologies. Under the supports of Water washing laboratory, light fastness laboratory, common laboratory, constant temperature and humidity laboratory, our Test center now has the good abilities to provide a complete set of physical and chemical tests for fabrics. We also lay great stress on the progress of management. We obtained the certificate of ISO9001 quality system in 1996, and Certification of ISO14000 Environmental system in 2005. To improve management system totally and become a first-class digital factory of China, we began to perform ERP project since 2009 and invested more than CNY 6 million in this project. As a national leading enterprise established on modern management system, we have installed Automatic paste mixing system, Automatic weighing system and Automatic liquid mixing system for our printing and dyeing production lines. Focused on the harmonious development among human, environment and society, we take green and environmental protection as mission. As an ISO14000 and OEKO-TEX approved enterprise, we now are the demonstration enterprise of printing & dyeing industry of Zhejiang province for energy-saving and environmental protection. In 2006, we were approved as one of first-batch of environment-friendly enterprises of Shaoxing city, and the good enterprise of Shaoxing city for saving energy and reducing discharges since 2007. In 2011, our new factory invested CNY 40 million and built a leading sewage treatment system of province; moreover, we replace old fuel boilers with gas boilers, and have secondary treatment to the waste gas of setting machines. Company Name:Zhejiang Xinjian Textile Co., Ltd.